The town of Tupelo in Mississippi is probably best known as the birthplace of Elvis Presley. The King grew up in poverty in a ‘shotgun shack’ (so called because if you opened the front and back doors you could literally fire a shotgun straight through the house) until moving to Memphis, 100 miles away, with his family when he was 13 years old. 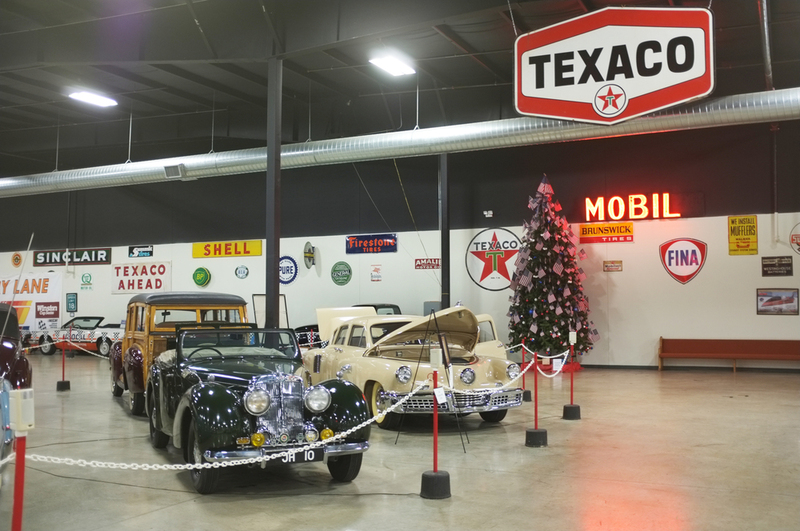 Less well known is that Tupelo is also the home to one of the most impressive and expansive private car collections in America, now housed within the Tupelo Automobile Museum. 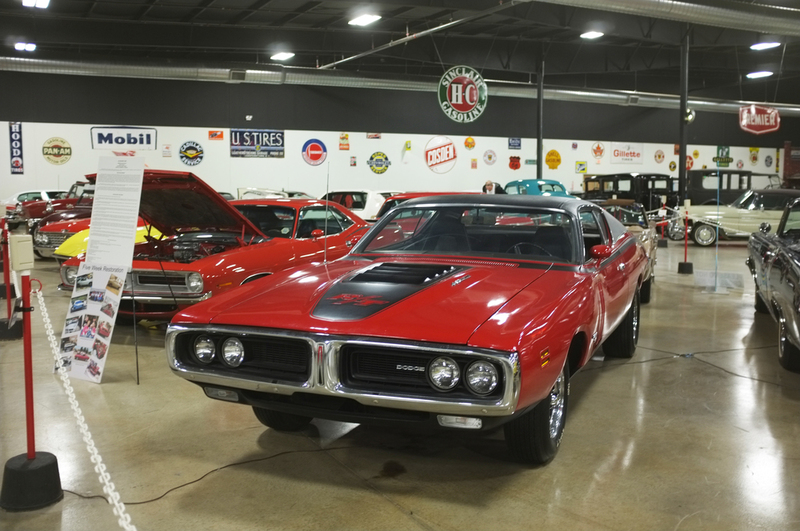 This is the collection of Frank Spain, a local businessman whose obsession with anything on four wheels led him to scour the world for the finest cars ever built, often driving them home across continents. Opened in 2002, the museum is located in a quite non-descript industrial estate, looking for all the world like a factory warehouse. Once through the doors and you’re in a sort of automotive wonderland, laid out like the world’s biggest car workshop, complete with vintage period signage and advertising. Whereas most American auto enthusiasts tend to focus on US marques and muscle cars, Spain was a real Europhile, so the collection includes rare and limited edition examples from Morgan, Rolls-Royce, Alvis, Jaguar, Aston Martin, MG and Jensen, as well as such cult items as Messerschmitt and BMW Isetta bubblecars, a Citroën 2CV and a DeLorean DMV. The unmistakeable snout of a 1949 Allard, one of many British cars in the collection. The cars themselves are laid out in chronological order, starting with an 1886 Benz (one of the few replicas in the museum) and progressing through to a 1994 Dodge Viper with just 12 miles on the odometer. There are more than ten cars from each decade from 1900 to 1990, with more than 100 cars on permanent display at any time. There’s also a workshop for ongoing restorations, as well as a calendar of temporary exhibitions of everything from drag racers to pedal cars. A 1912 Cartercar, one of only six surviving models, that featured friction drive. Among the rarest cars in the collection are the sole surviving 1915 Trumbull, one of only six surviving 1912 Cartercars with its friction drive engine, and one of only 51 examples of the Tucker 48 produced (it’s car no 1028). 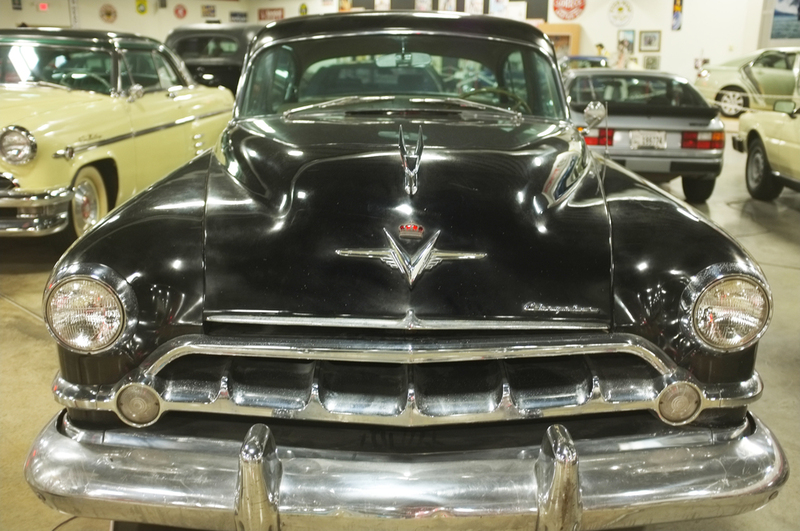 The distinctive cyclopean headlight array of the ill-fated rear-engined Tucker 48. There’s also the Leslie Special Convertible specially built for Tony Curtis to drive in the 1963 movie The Great Race, as well as a Lincoln Mark IV bought by Elvis Presley and later given to Captain Jerry Kennedy, one-time member of the Denver Police Force and the man responsible for handling security at Presley’s concerts. A humble VW Beetle sits next to the flamboyant Leslie Special built for The Great Race movie. Elvis Presley's Lincoln Mark IV, later gifted to the head of security at his live shows. It took Frank Spain more than 30 years to amass his collection and it is currently valued at more than $10 million. Since Frank’s death, the museum has been run by his wife, Jane, who has realised his dream of keeping the collection together rather than being sold and split up. Tupelo Automobile Museum, 1 Otis Boulevard, Tupelo, Mississippi 38804.